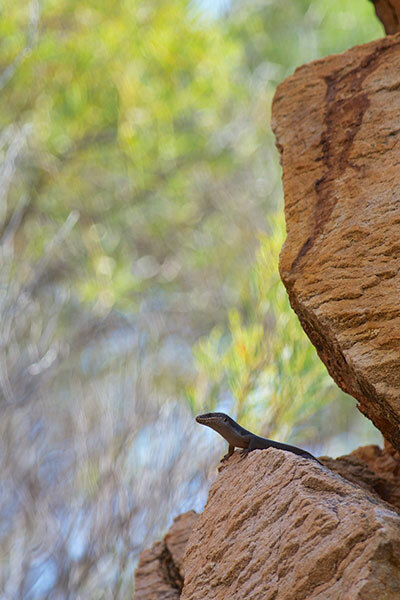 My first glimpse of a so-called Tree Skink was this near-silhouette. 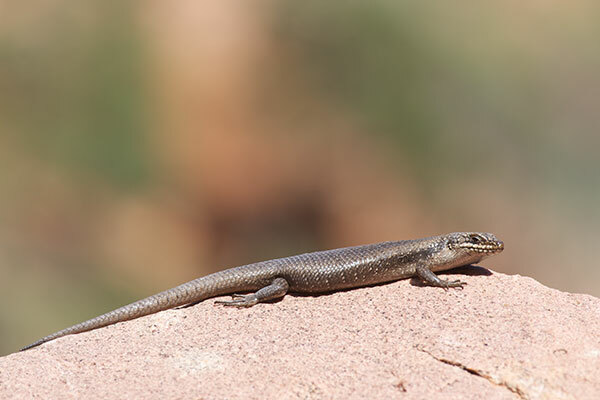 I could tell it was a dark, medium-sized skink, but couldn't distinguish much else until I zoomed in on the photos later. 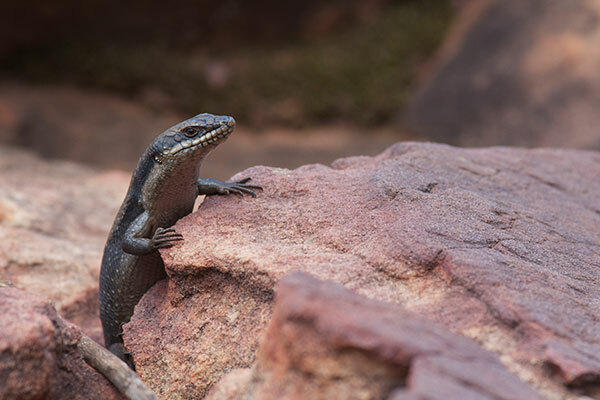 I carefully climbed up the back side of the rocky promontory that this skink was lording over in an attempt to get a closer photo, but the skink had obviously heard me coming and was nowhere to be found when I reached its level. The next day, I had much better luck. 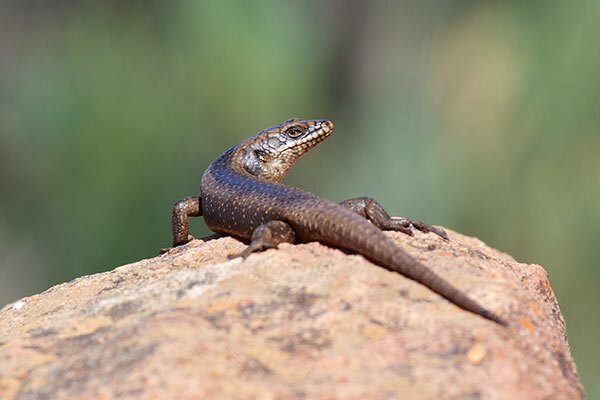 This lizard was basking on a fairly cool morning, so I could approach more closely without spooking it. 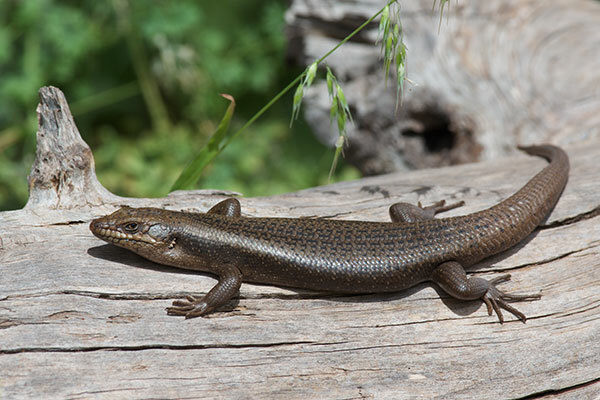 I never saw a Tree Skink in a live tree, but I did see a number of them on fallen logs, so that sort of counts. Mostly I saw them on rocks. They were just skittish enough (and common enough) that trying to sneak up on one for a closeup was an entertaining game. Cogger says that Egernia striolata is a species complex that the taxonomists haven't worked out yet. 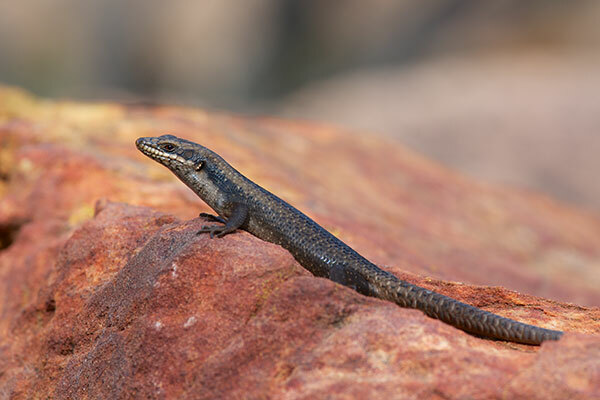 Australia already has hundreds of skink species, but I guess that is just not enough.